Many Canadians are unaware of the strong connection between aging and mental health. The aging process sparks both physical and mental changes. For example, when people get older, their mobility may slow down or their sight may diminish – these physical changes can directly affect the mental health of our elderly loved ones. Aging is a time for adaptation, change and planning for the future. As people age, they face many challenges and different sources of stress. They typically aren’t as strong and independent as they used to be; they’re more prone to illness and disease; and retirement from a full and engaging career can lead to loneliness and isolation. It’s because of these common and inevitable changes that we need to focus on maintaining the vitality, health and wellness of our growing and aging population. Mental health is the sense of well-being. The four personal factors that can affect a senior’s sense of well-being are physical, emotional, social and spiritual. There are external factors that also play a major role in a senior’s mental health. The main factors are housing, income, healthcare services, and transportation and mobility. While the process of aging can be frustrating for many, there are proactive approaches to aging and maintaining strong mental health. The side effects of aging can be delayed and managed by keeping a positive outlook and using the services that are available to assist our seniors. Mental health and mental illness are two terms that are often used interchangeably, which causes confusion as they are very different. Mental health is the sense of well-being. It refers to how an individual is able to interact with other human beings. Good mental health is a state of well-being in which a person is able to cope with everyday events, think clearly, be responsible, meet challenges and have good relationships with others. The illness can be biological in nature. People can inherit genes which put them more at risk. Some illnesses may also stem from head injuries. An individual’s surroundings can play a role in developing a mental illness. Significant life events such as divorce, abuse and self-destructive thoughts can contribute to the development of a mental illness. For example, people who have been abused often suffer from anxiety or post-traumatic stress disorder. There are many different forms of mental illnesses. A common form is depression. Depression refers to feelings of helplessness which prevent you from enjoying life the way you once did. Being depressed can take a toll on your physical health as well. Depression is not a normal part of the aging process and can be successfully treated. In order to help treat depression, you should challenge negative thinking, put yourself first, exercise regularly and eat well, and cultivate supportive relationships. The basis of mental health problems for seniors often stems from frustration, inability to perform tasks, loneliness, despair and the feeling of being unwanted or unneeded. What are the important principles to follow to promote seniors’ mental health? Dignity – Treat seniors with respect, appreciate them for their accomplishments and accept them as individuals, regardless of indicators such as age, health or socioeconomic status. Independence – Seniors should be in control of their lives and be able to make personal decisions. Participation – It’s important for elderly loved ones to stay active and be involved in their communities, as well as with family and friends. Fairness – Seniors should be treated equally and not be discriminated against based on their age. Security – Seniors should have access to safe and supportive living arrangements, along with an adequate and stable income. Dementia is a collection of symptoms such as memory loss, personality change and impaired intellectual functions resulting from trauma to the brain or disease. These changes are not a normal part of the aging process. Dementia often leads to a decline in communication, learning, remembering and problem solving. These changes can occur over a short or long period of time. Dementia can be diagnosed by brain imaging, clinical examinations and diagnostic testing. Some types of dementia can be treated or reversed, if caught in time. Complaining of memory loss only if asked or unable to recall situations. Frequent pauses in communication; word-searching moments. Decline of memory of recent events. Loss of interest in social activities and decline in ability to converse. Alzheimer’s disease is a progressive disease of the brain that slowly causes impairment in memory and cognitive function. Dementia does not equal Alzheimers however people with Alzheimers may experience dementia. . It’s a serious brain disorder that impacts daily life through cognitive changes and memory loss. Symptoms of Alzheimer’s disease develop slowly and worsen over time, leading to forgetfulness and brain impairment. Chemical changes in the brain gradually ruin the ability to remember, learn and reason with people. Consistently placing regular items in obscure places, such as leaving your keys in the fridge. Forgetting names of family members and close friends. Dressing insufficiently. For example, wearing shorts in a winter storm. No longer being able to manage finances. Withdrawal from usual interests and getting lost in familiar places. 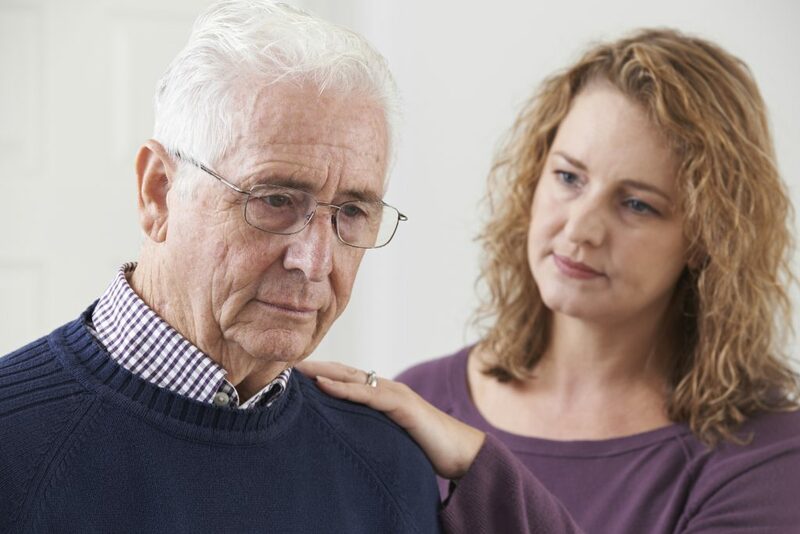 If a loved one has dementia or Alzheimer’s, it is important to learn as much as you can and understand what the symptoms are and what behaviour to expect. Remember, there is always a professional caregiver who can help. For more information, please visit our Dementia Care page and the resources listed below.